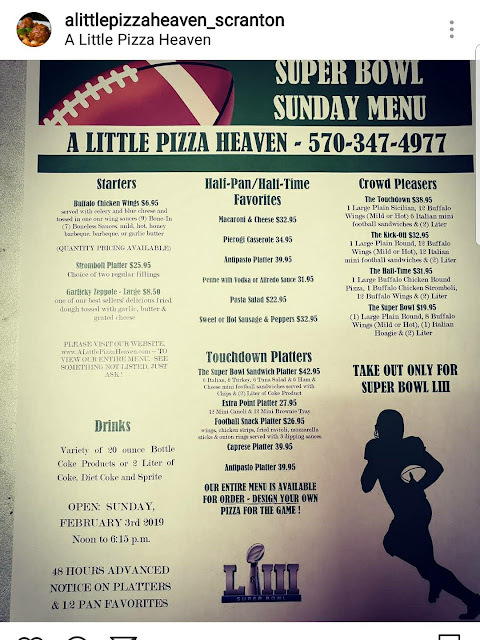 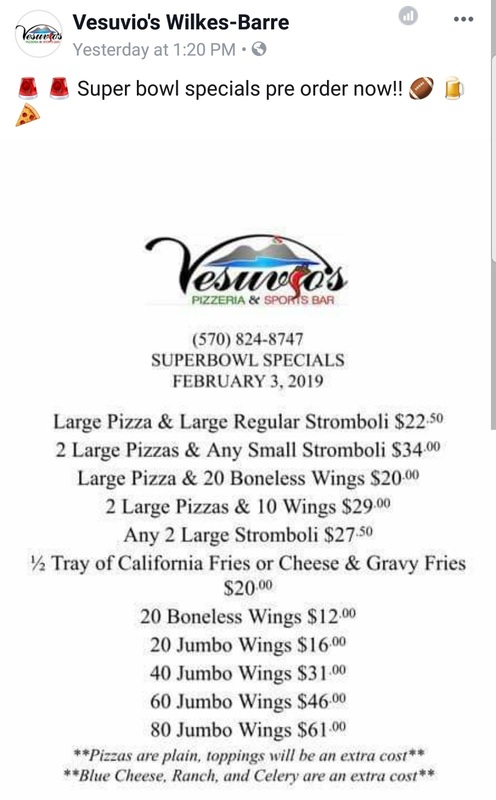 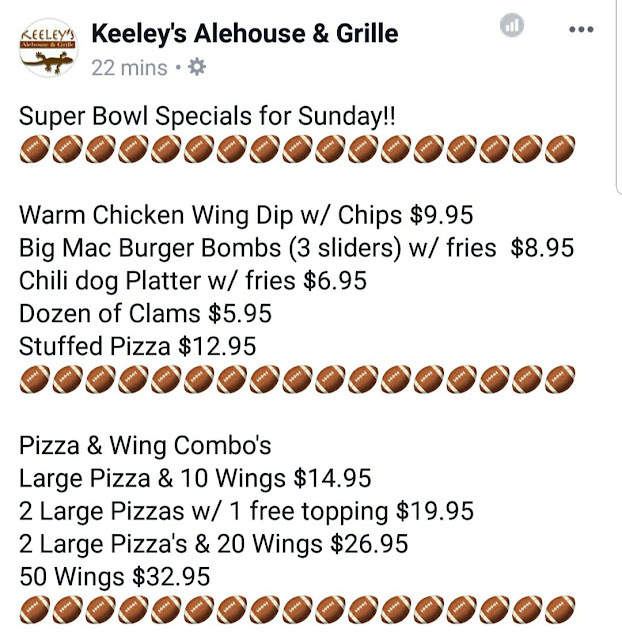 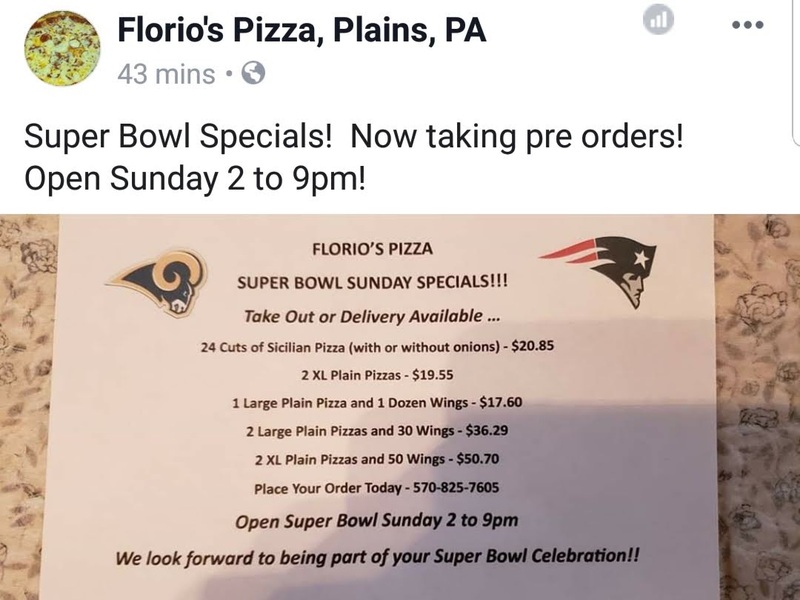 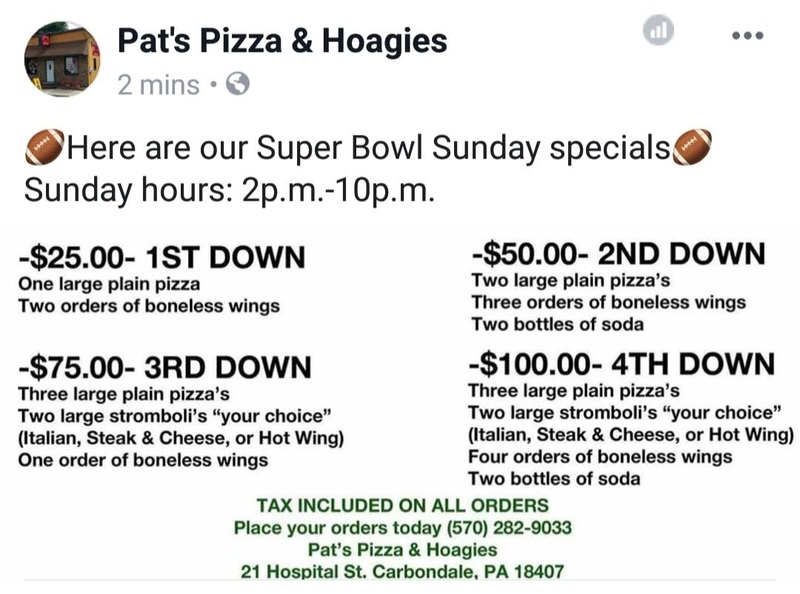 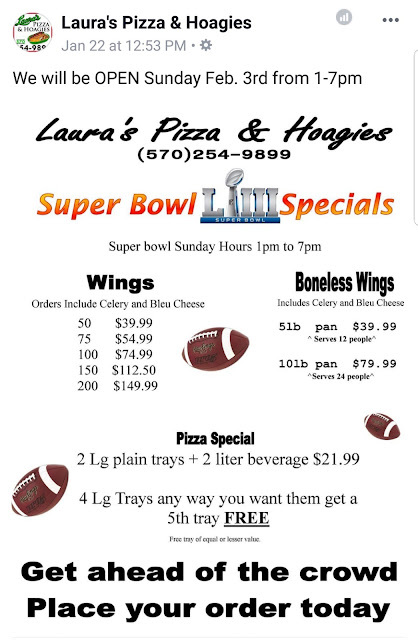 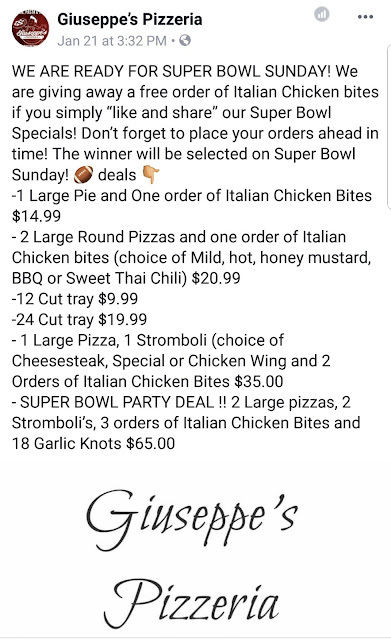 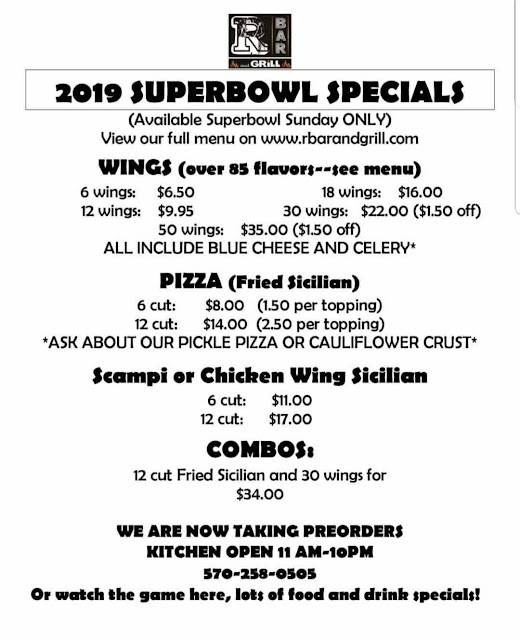 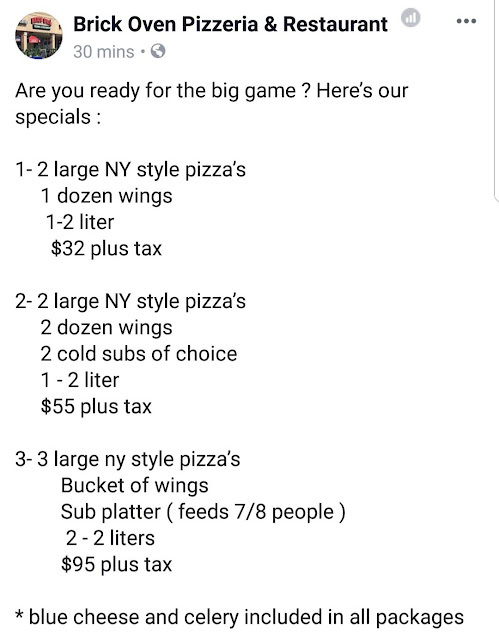 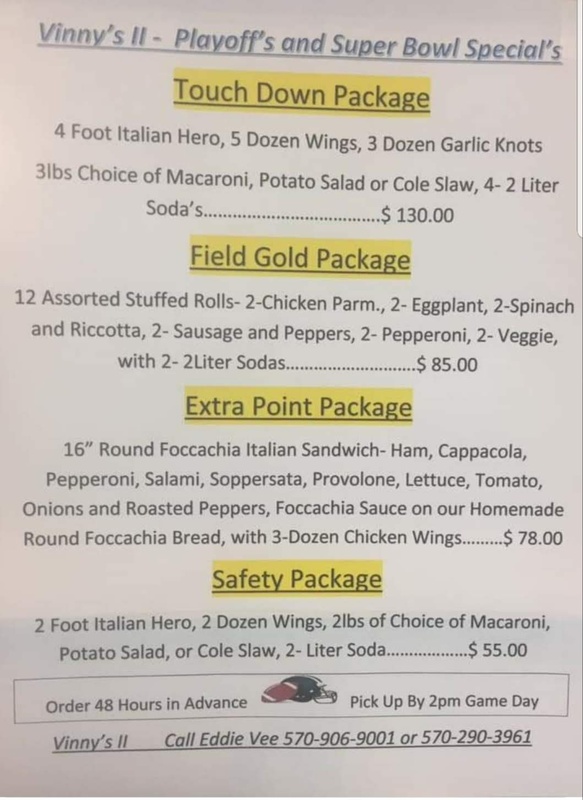 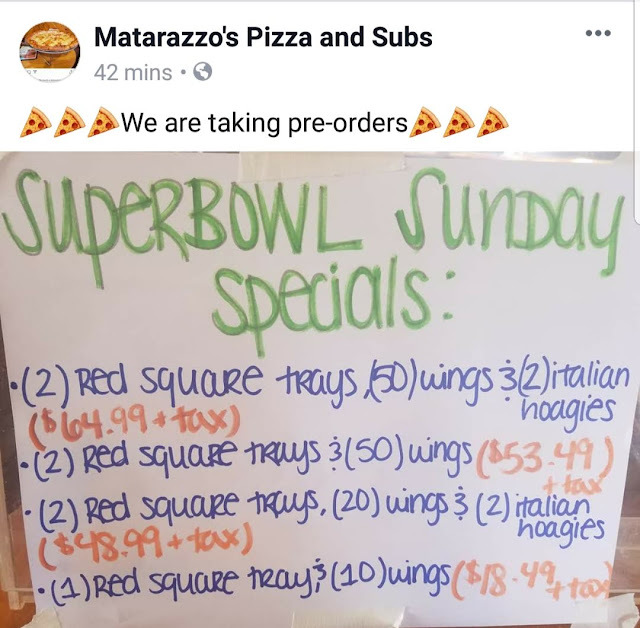 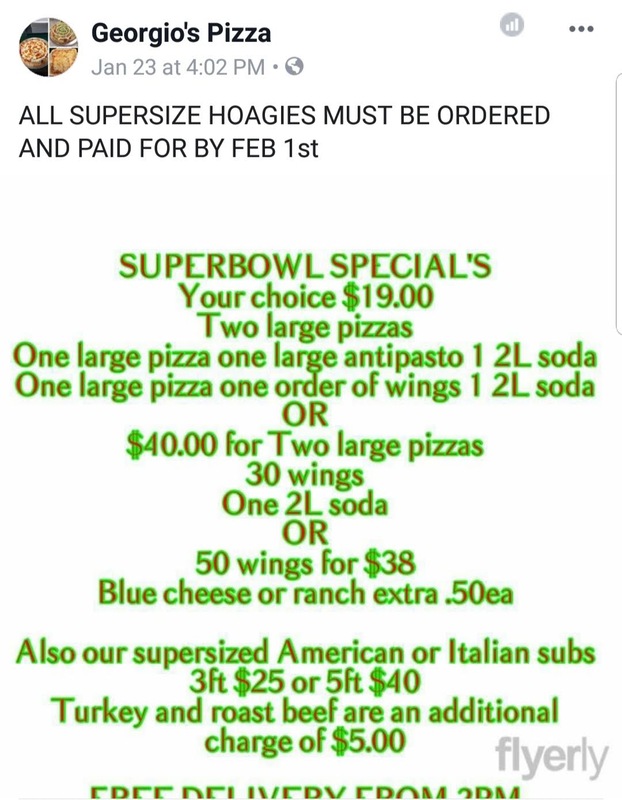 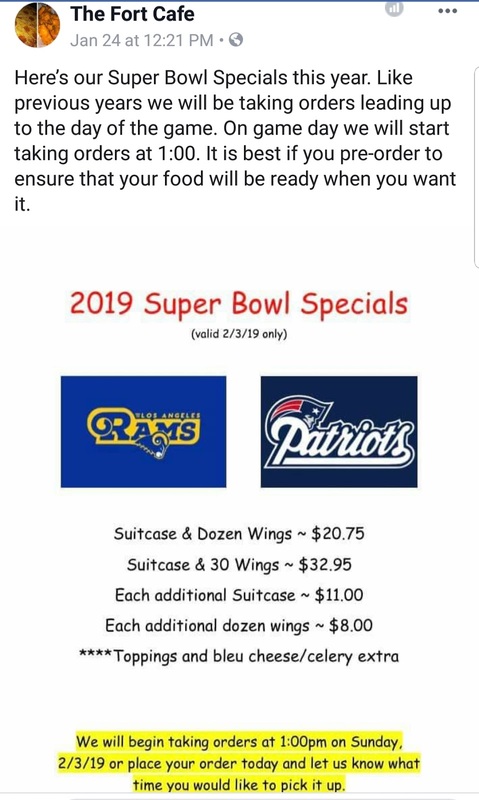 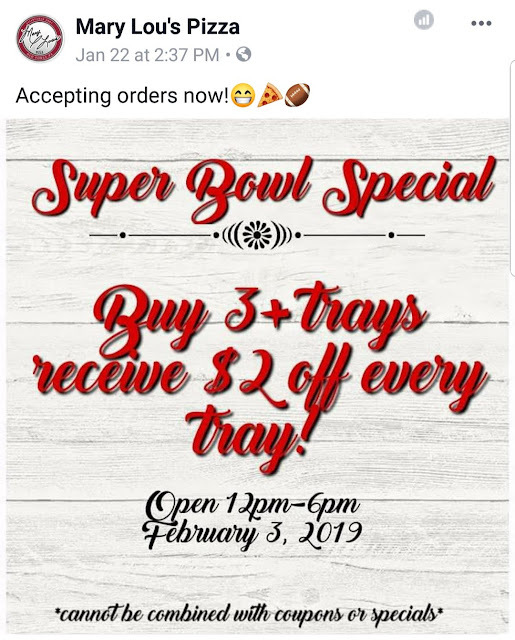 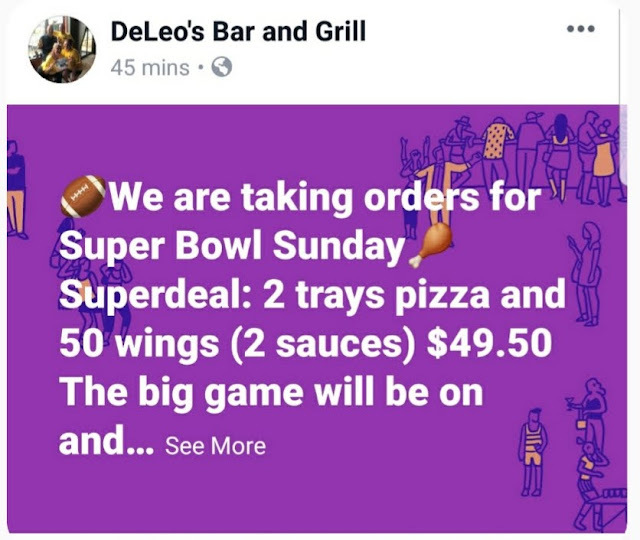 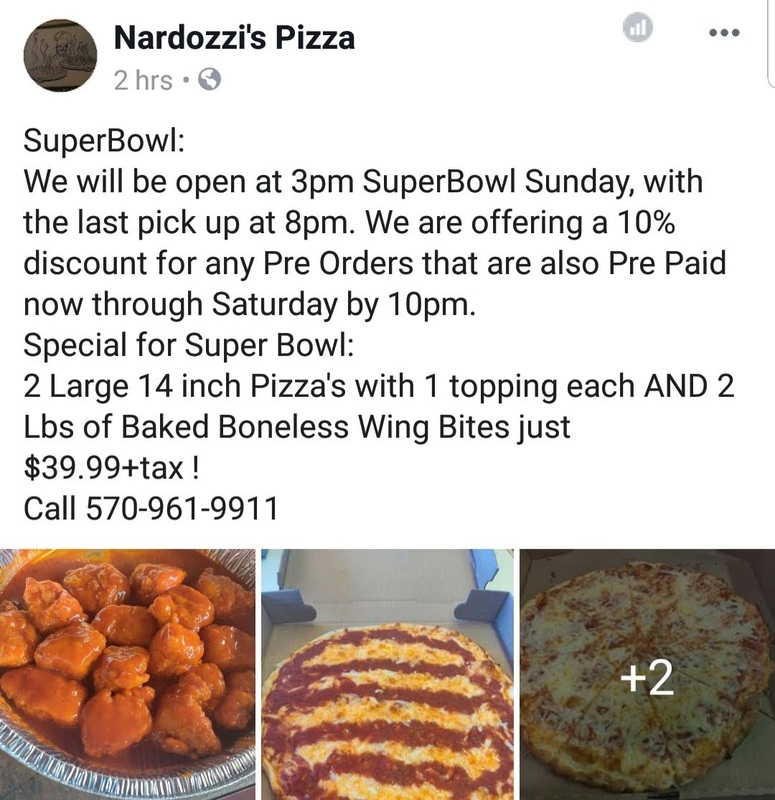 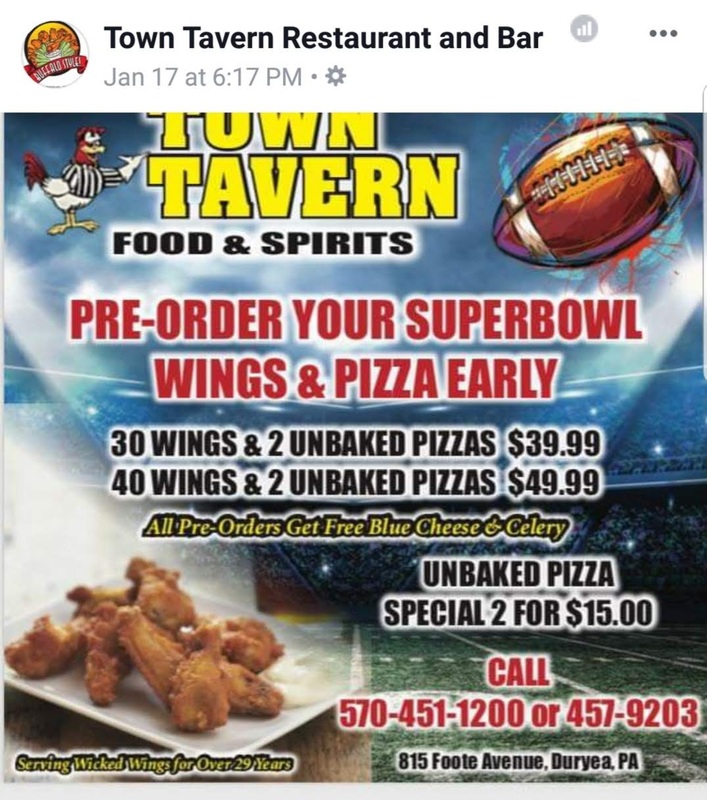 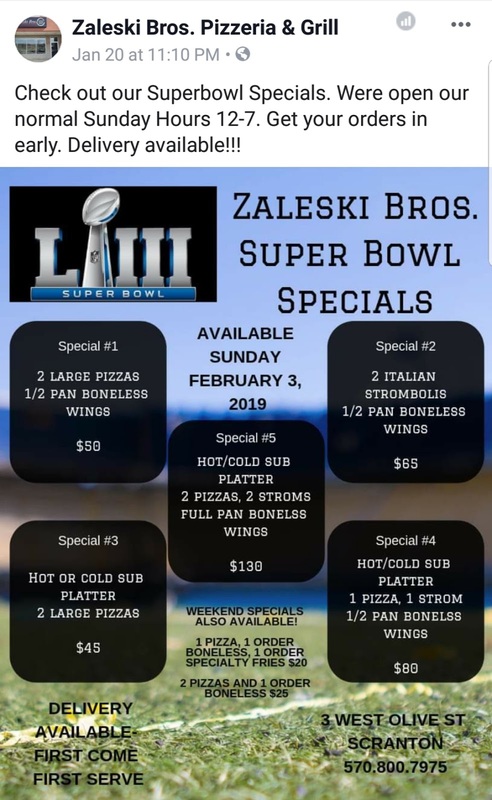 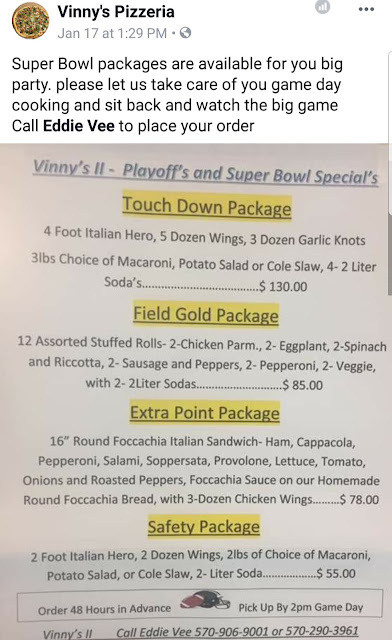 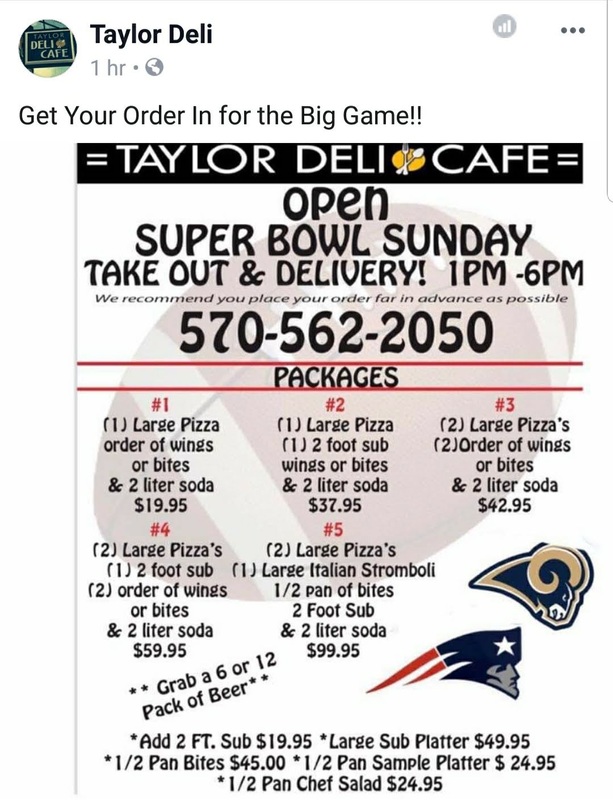 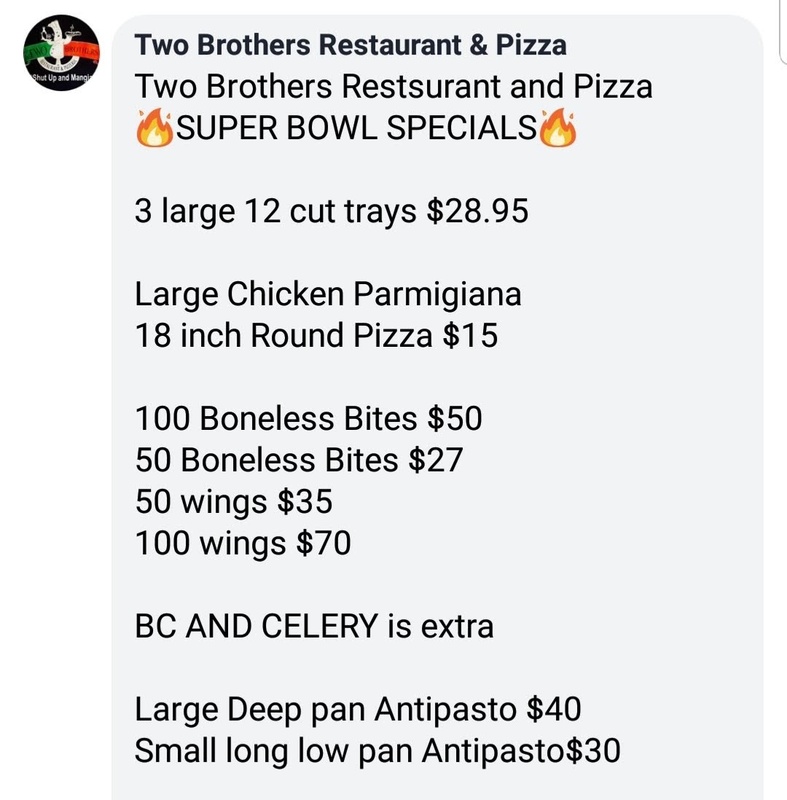 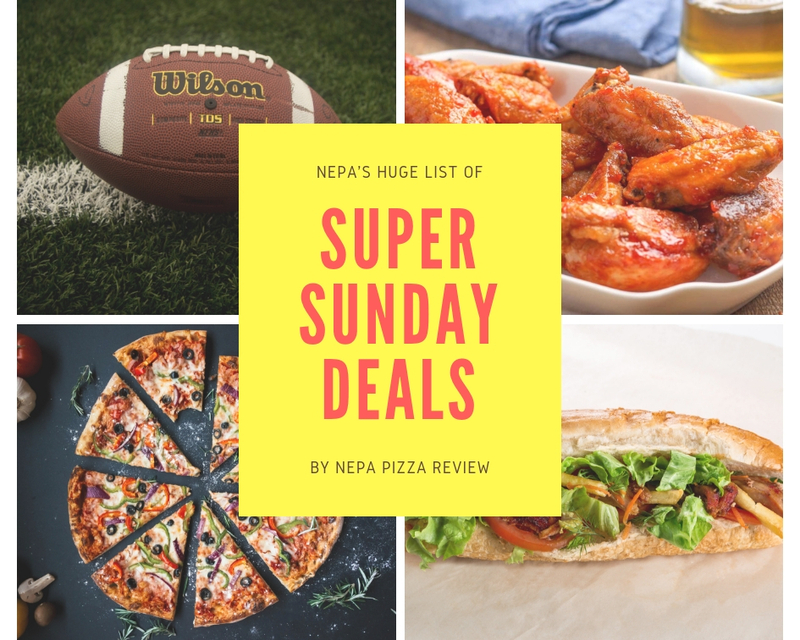 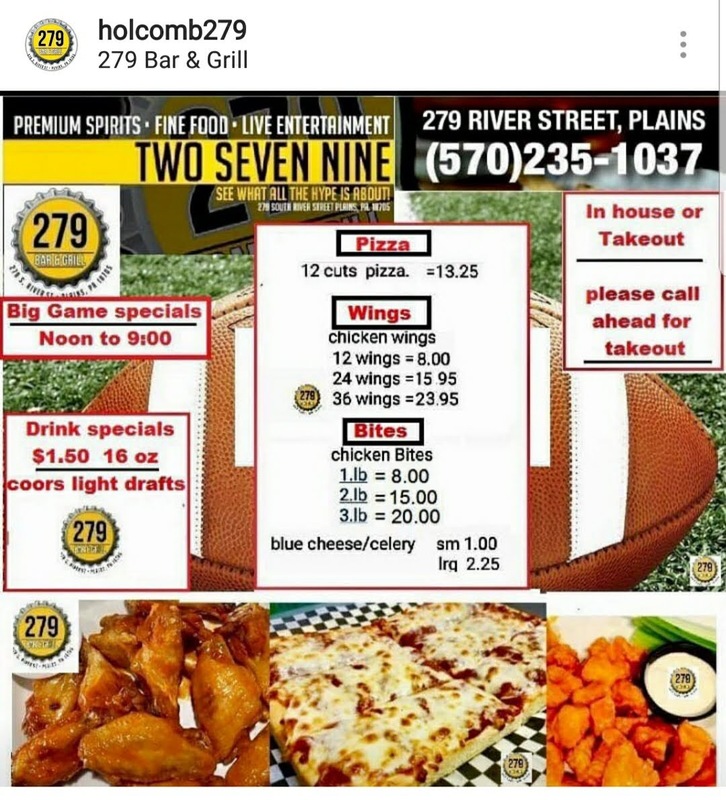 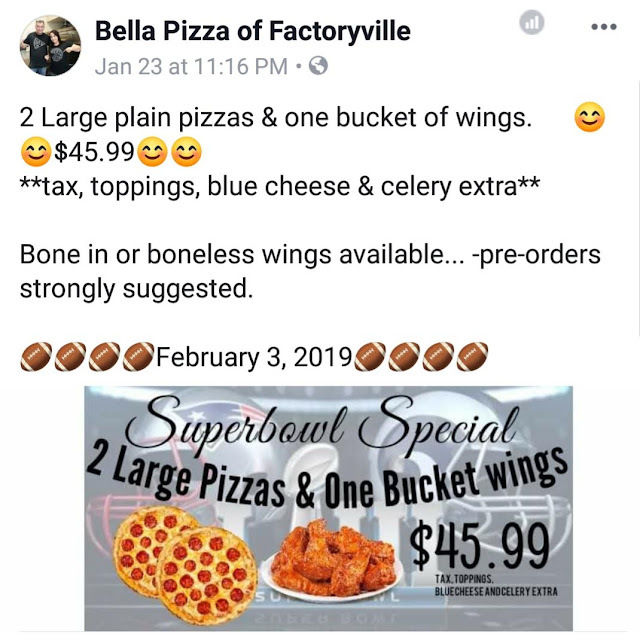 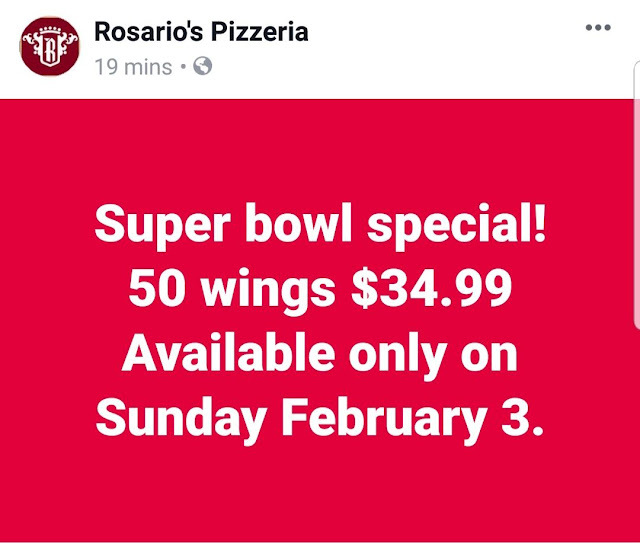 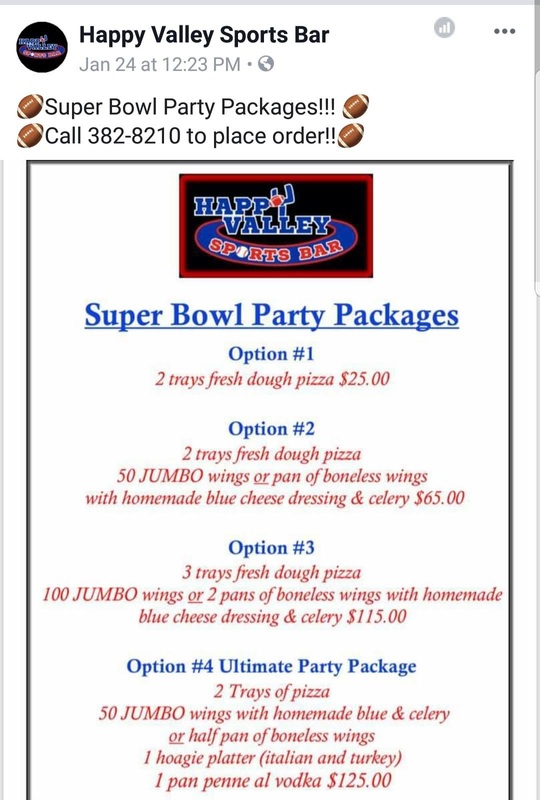 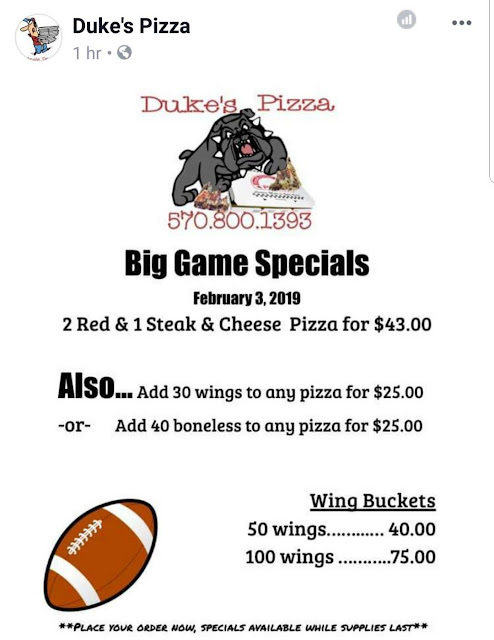 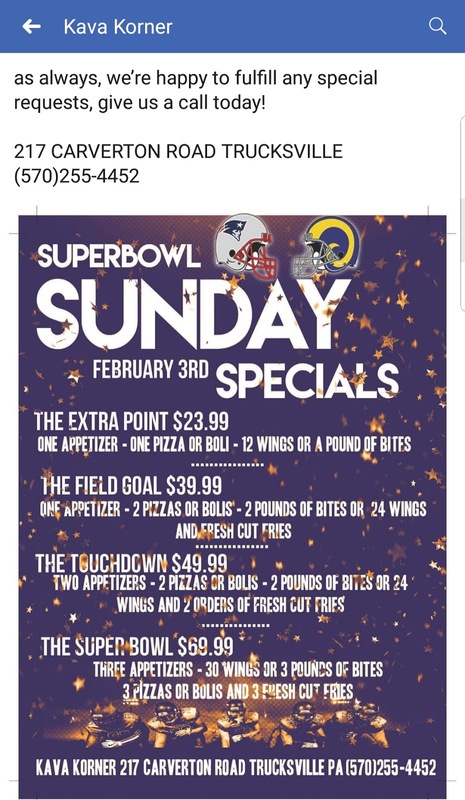 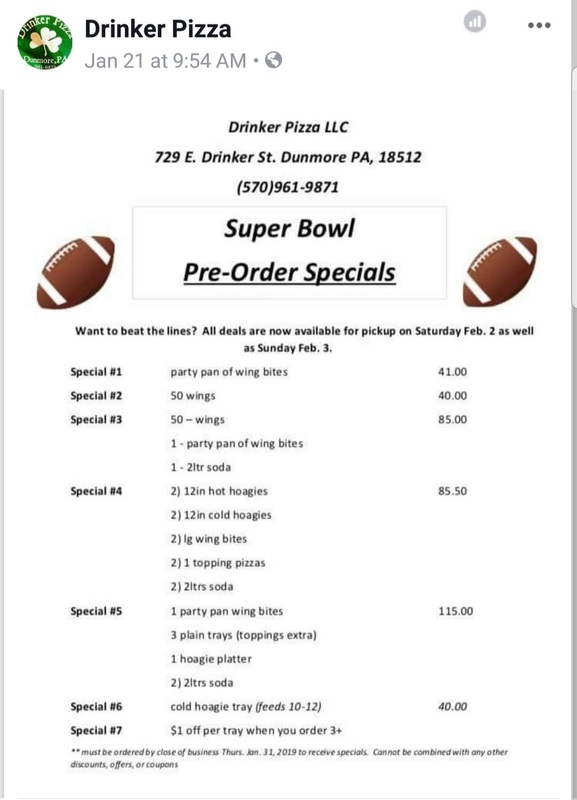 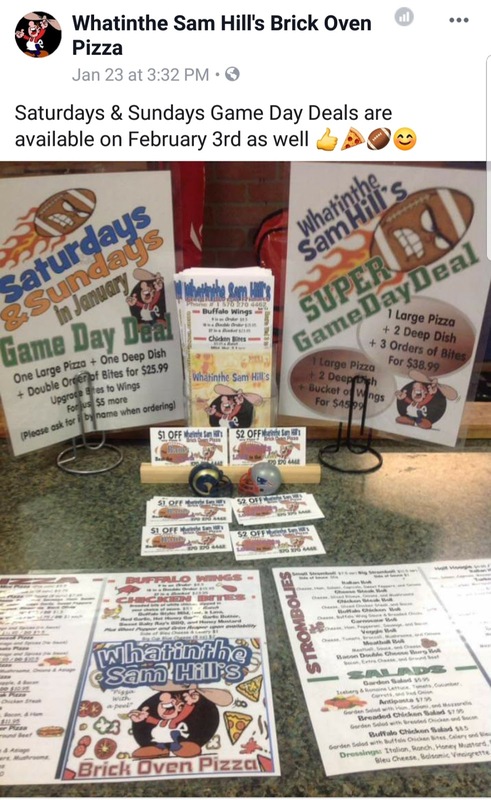 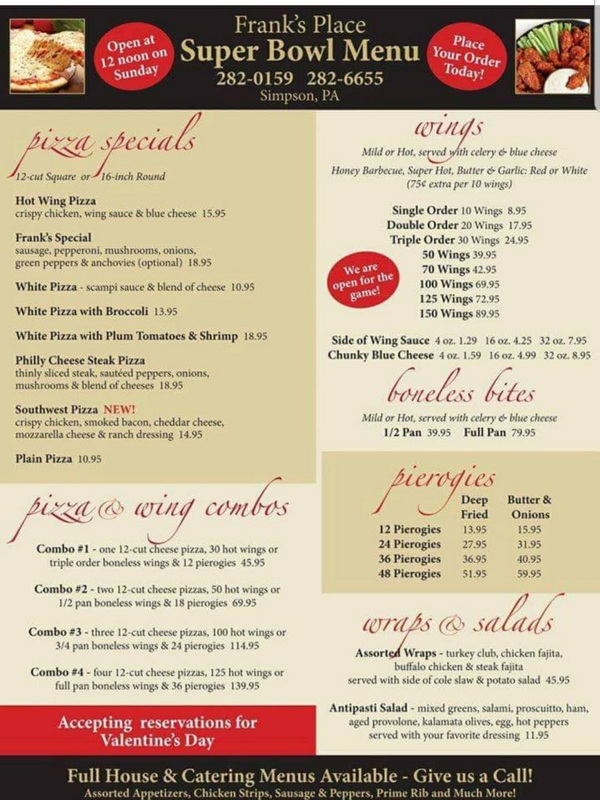 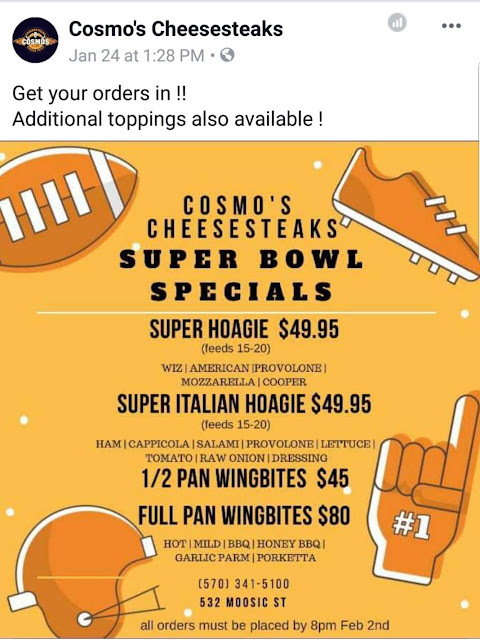 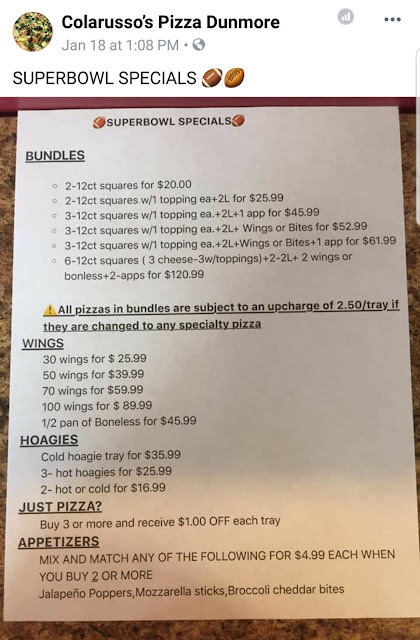 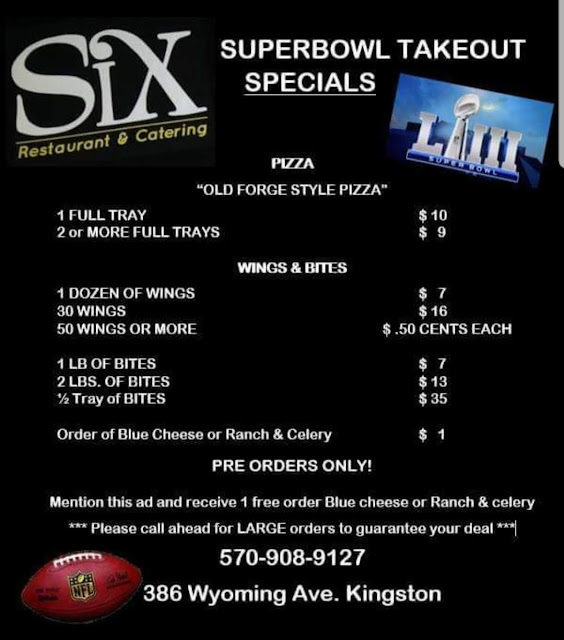 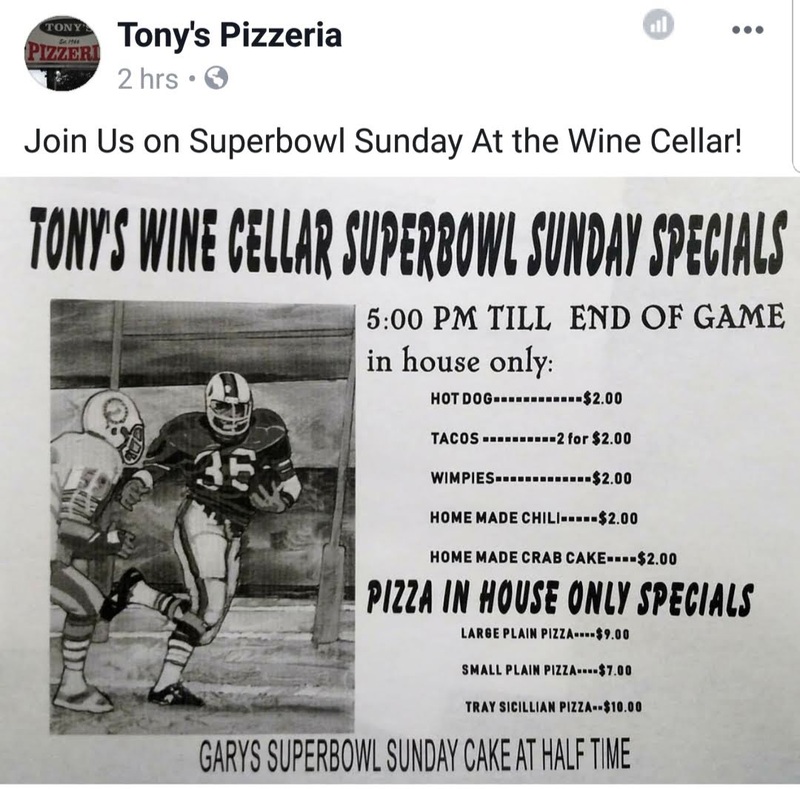 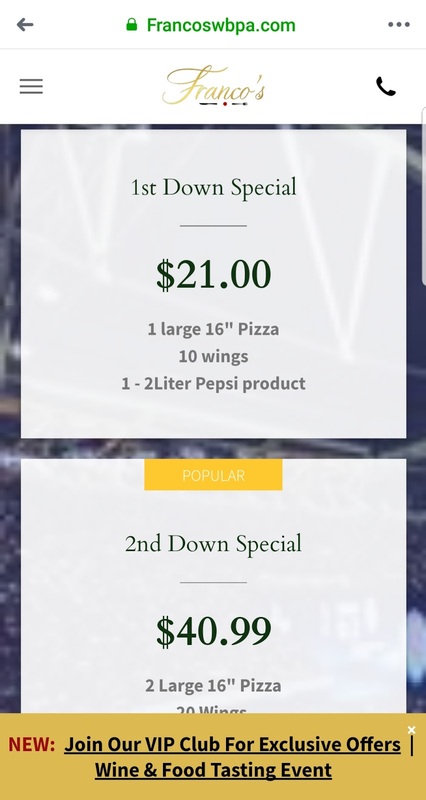 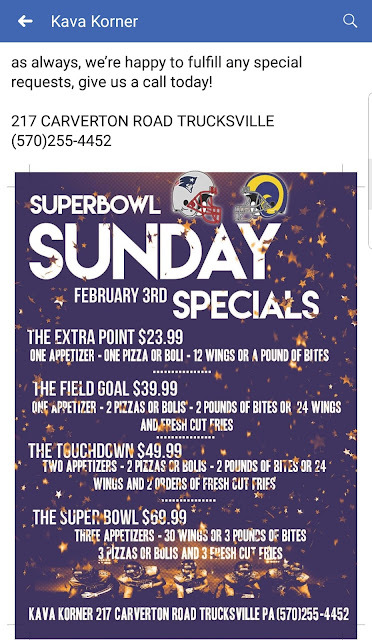 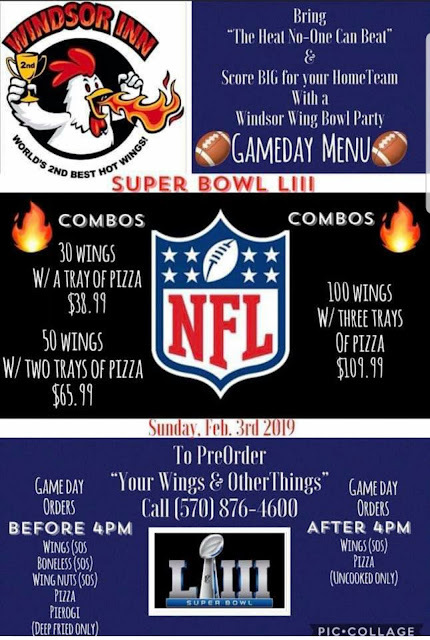 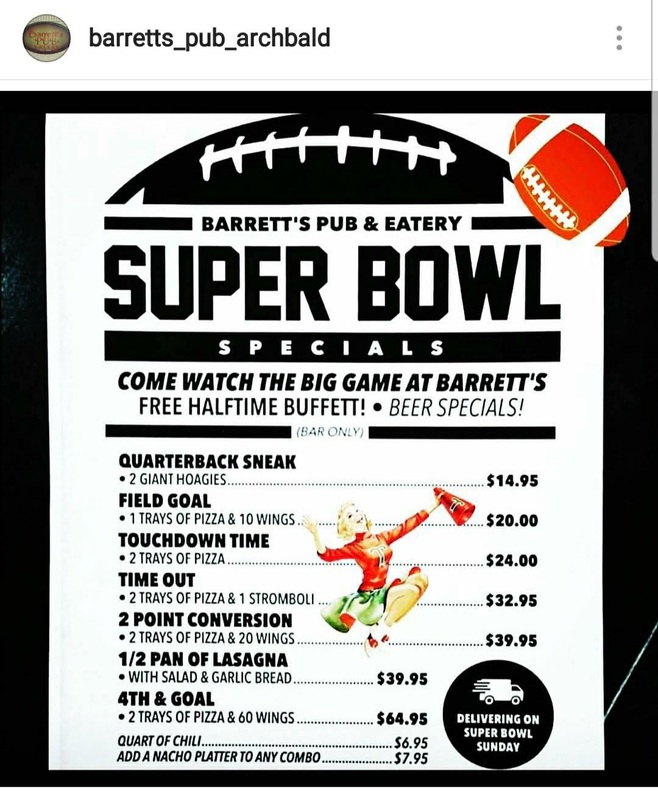 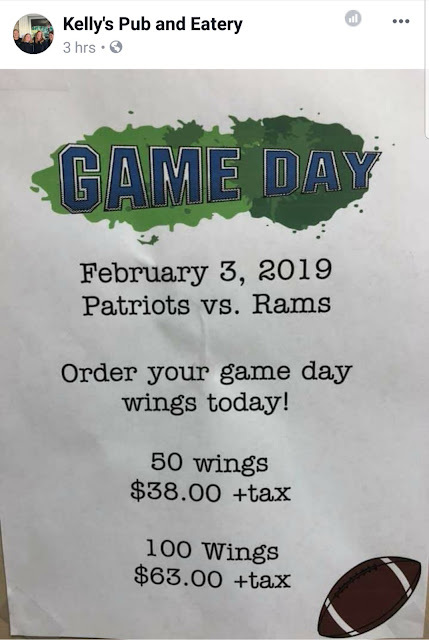 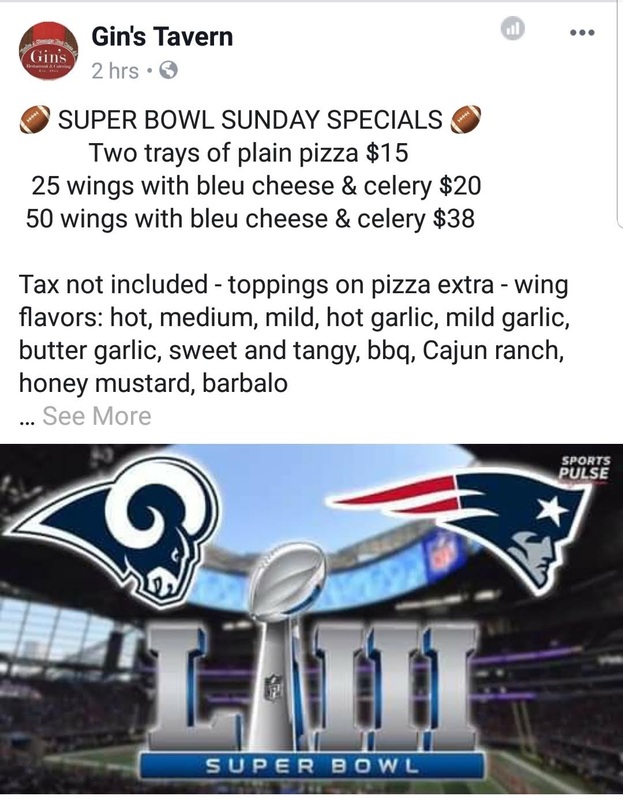 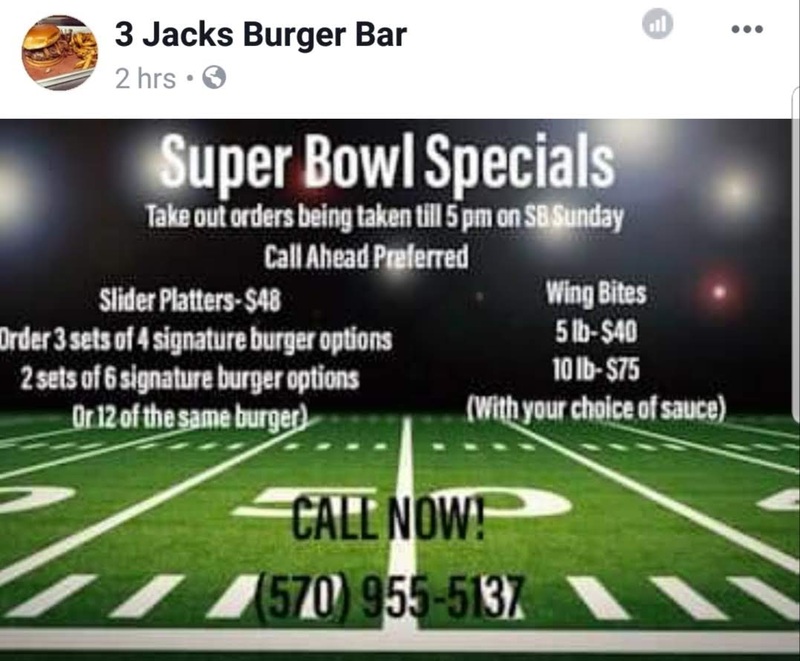 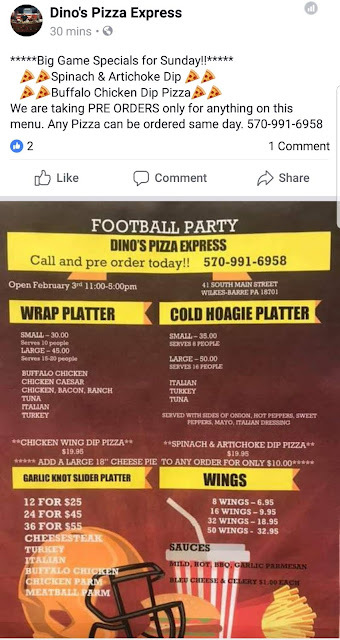 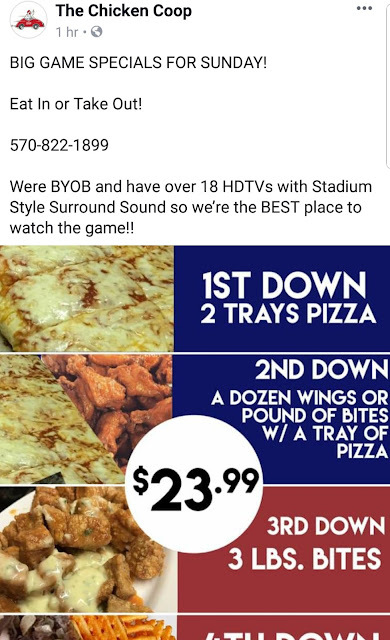 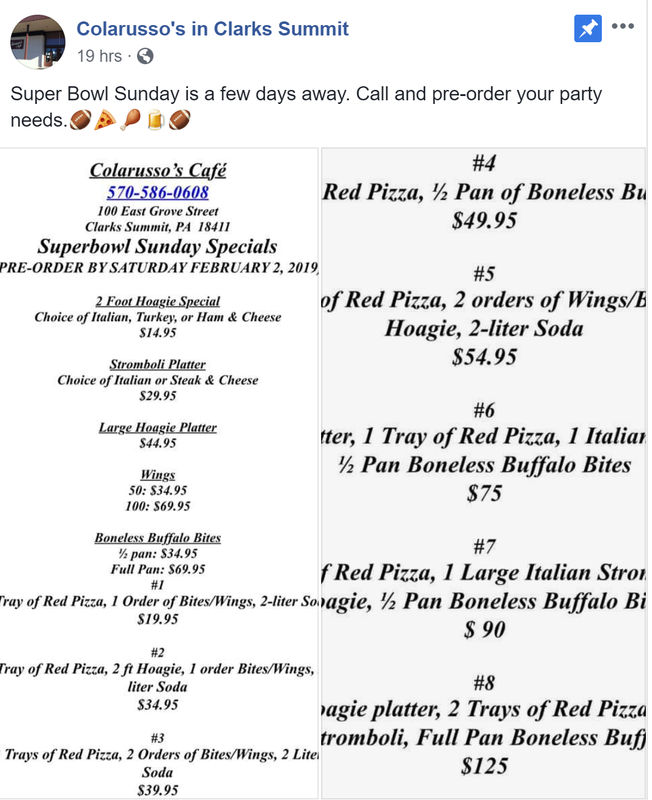 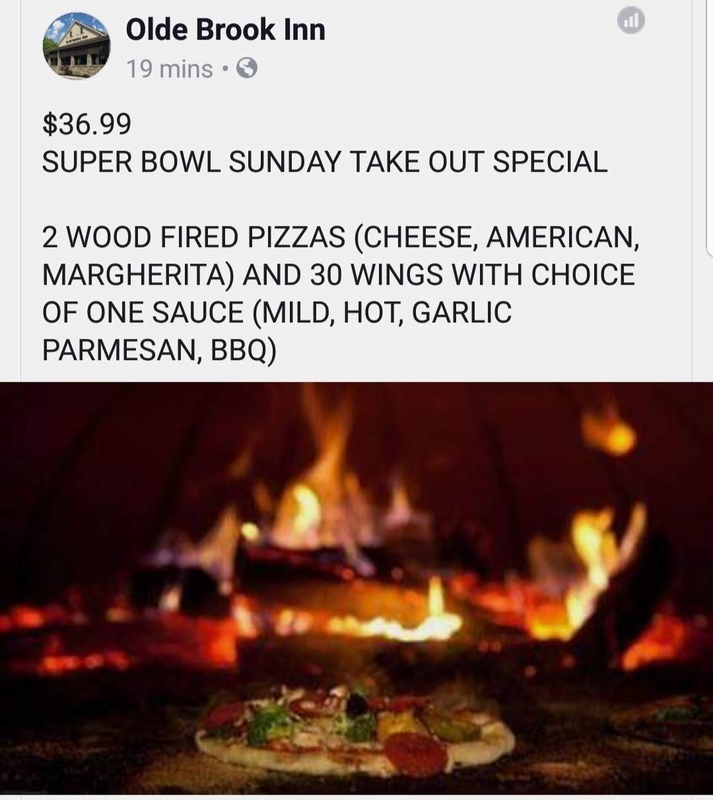 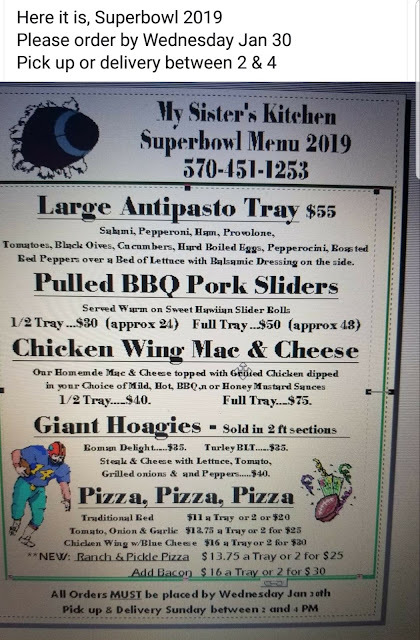 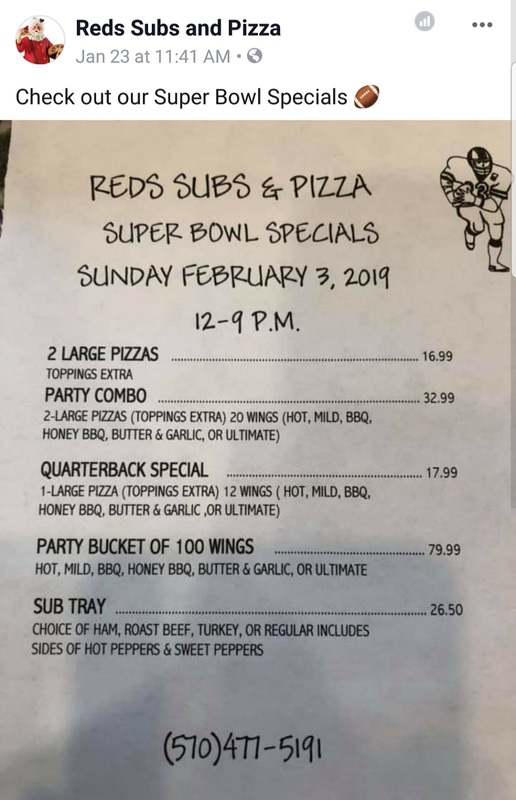 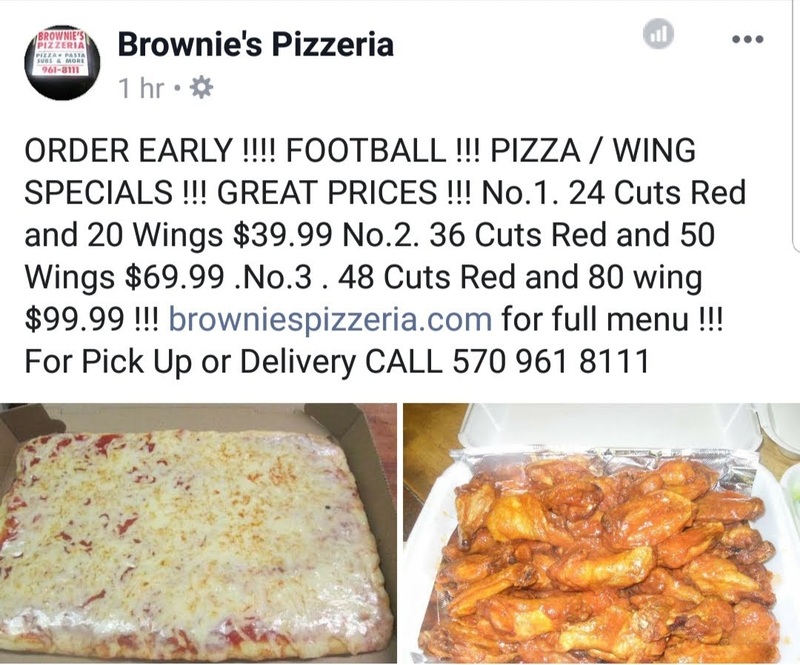 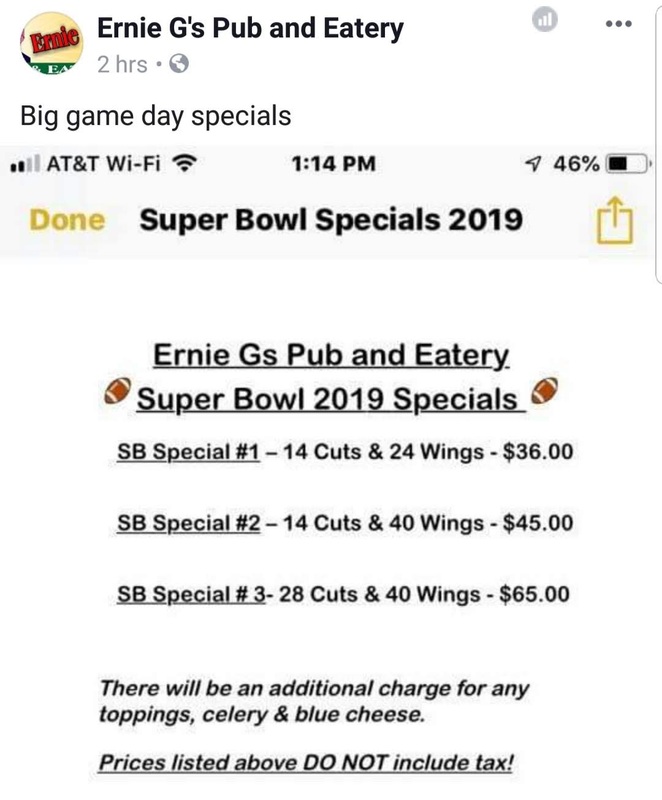 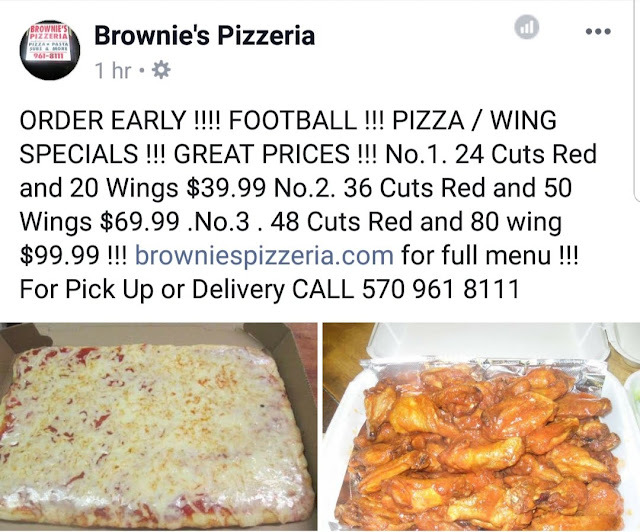 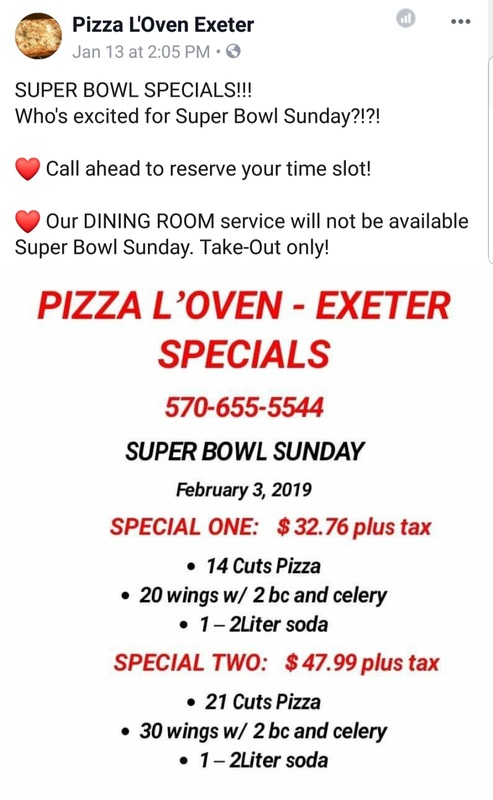 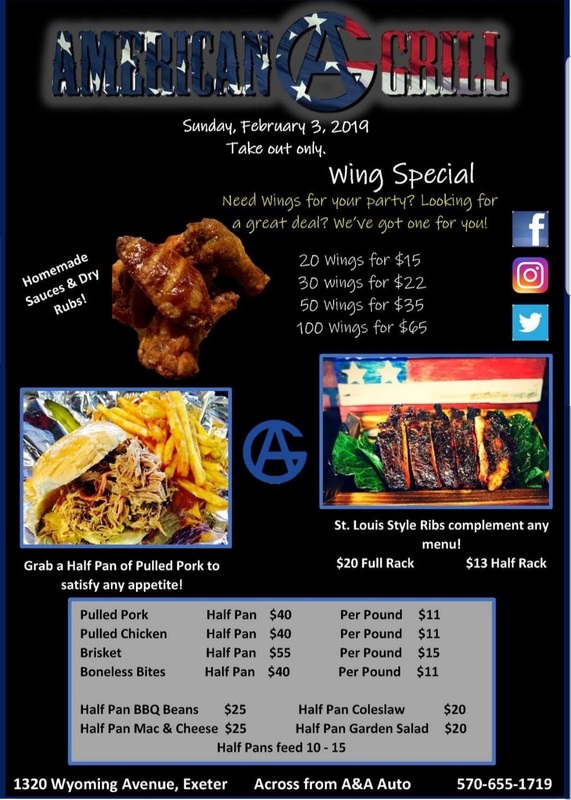 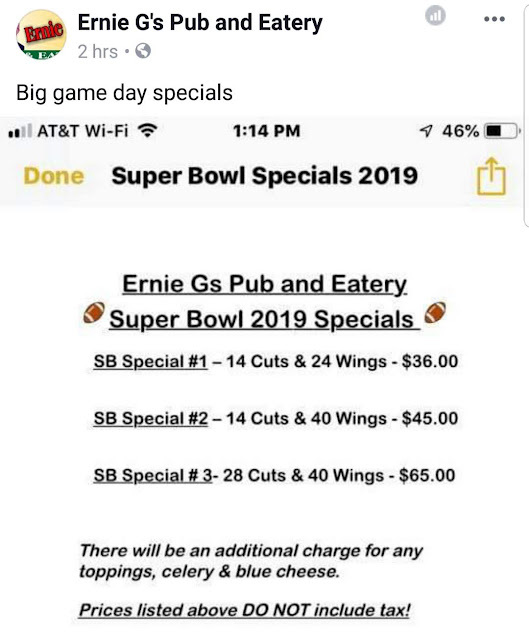 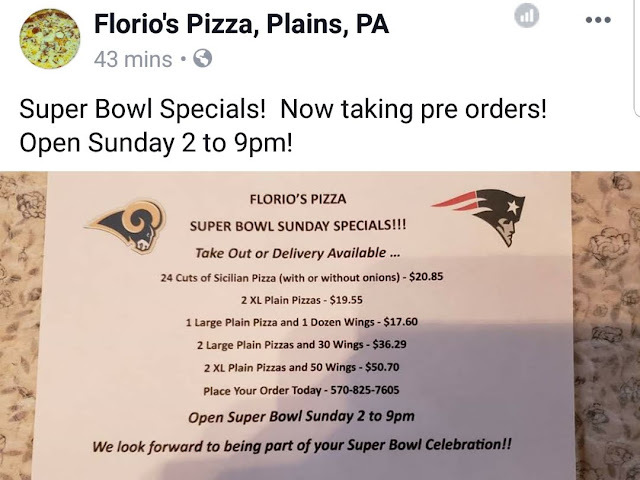 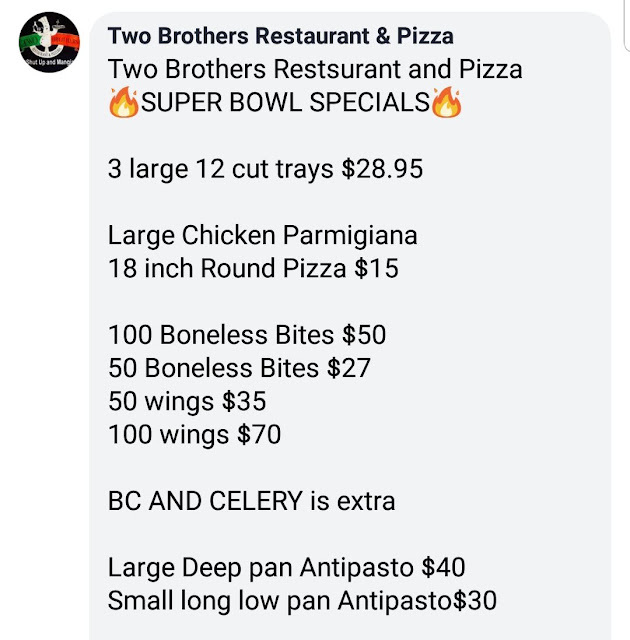 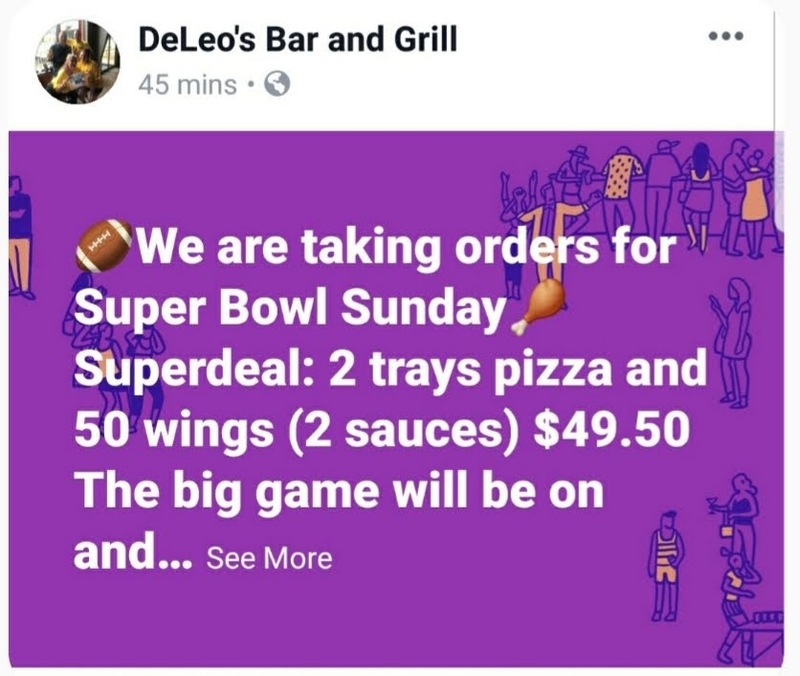 Best Super Sunday Food Deals and Specials in NEPA 2019! 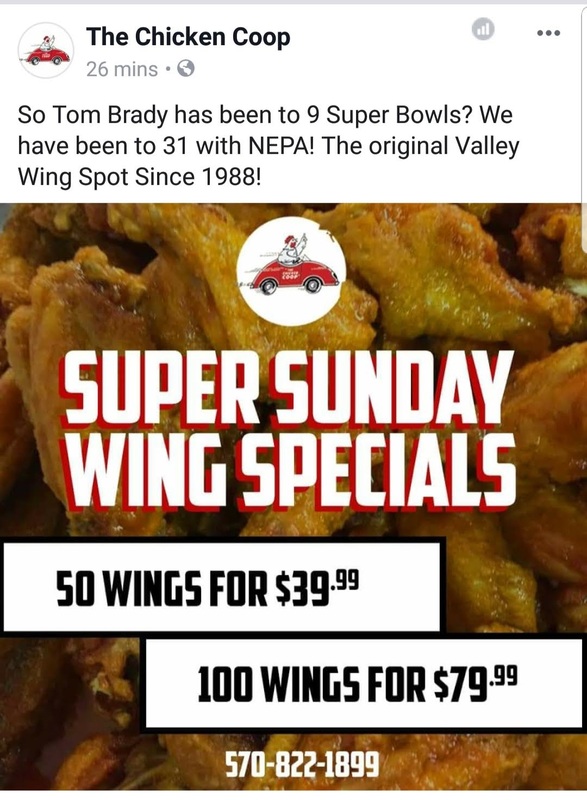 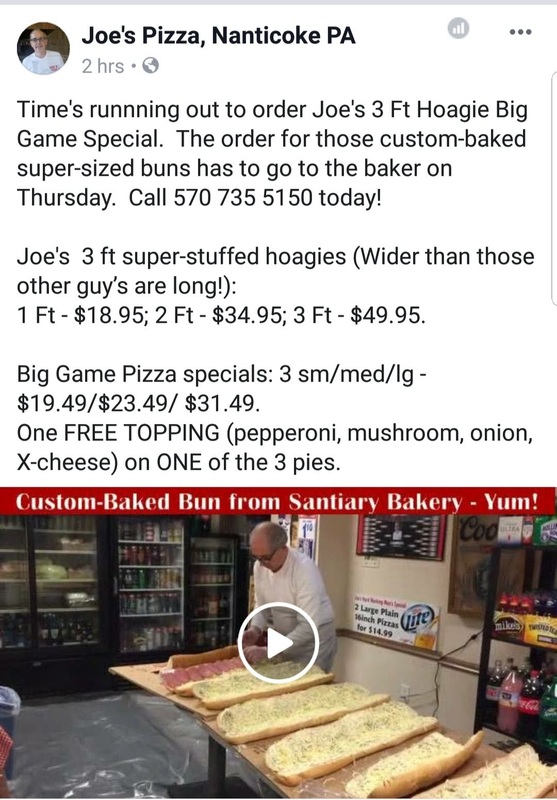 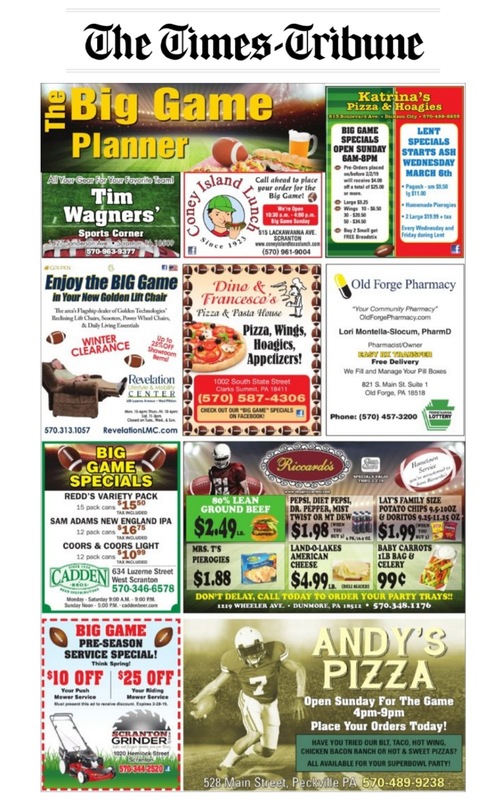 The Largest Collection of Big Game Deals in NEPA 2019! 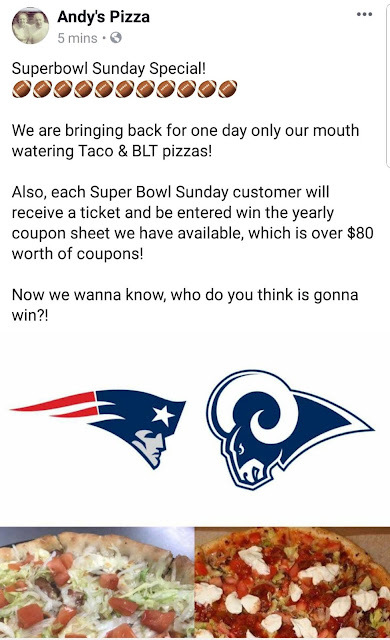 The biggest NFL game of the season is almost here! Celebrate the big day with the best food from these NEPA local restaurants. 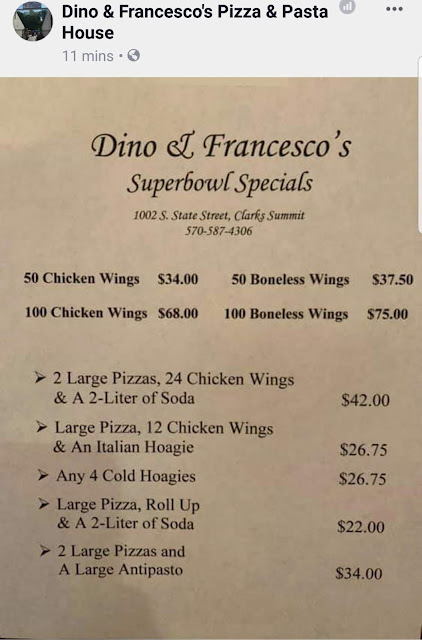 Below is a collection of the best deals, specials, and packages that I found from around the 570! 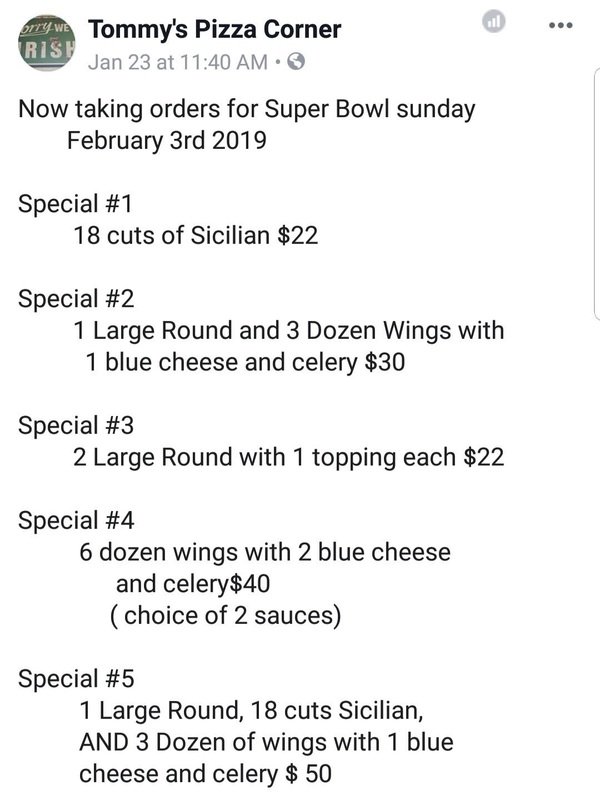 If I missed any, please tag or message me with additional deals! 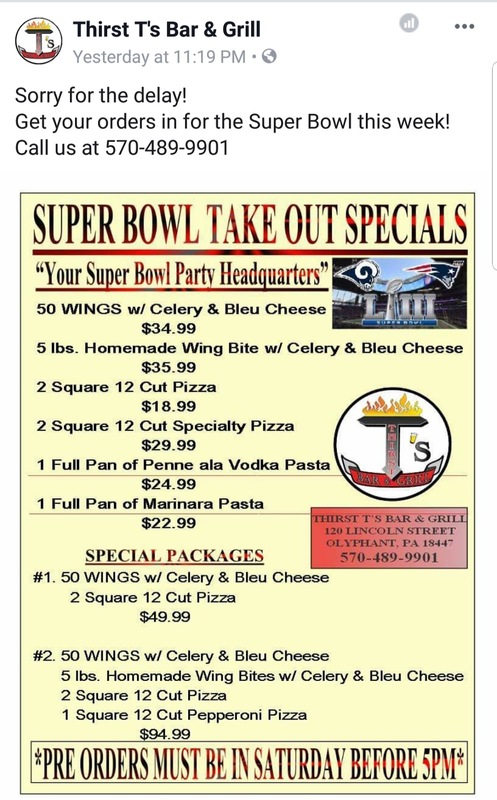 Please call or visit each restaurant for further details. 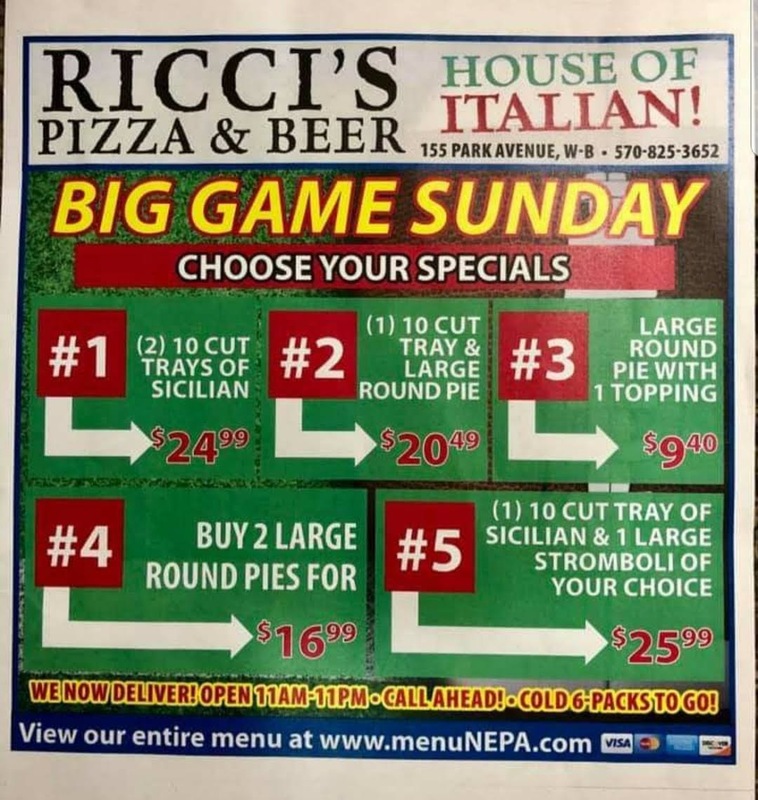 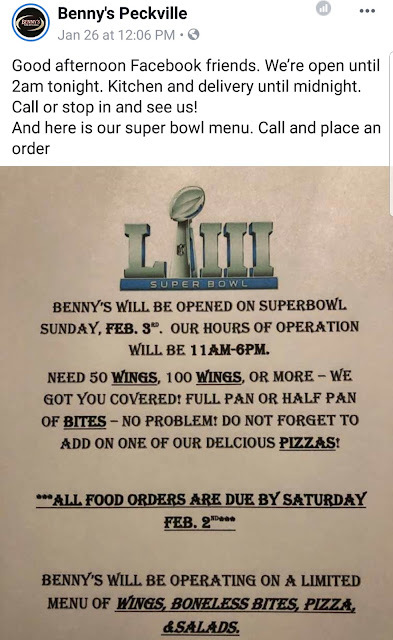 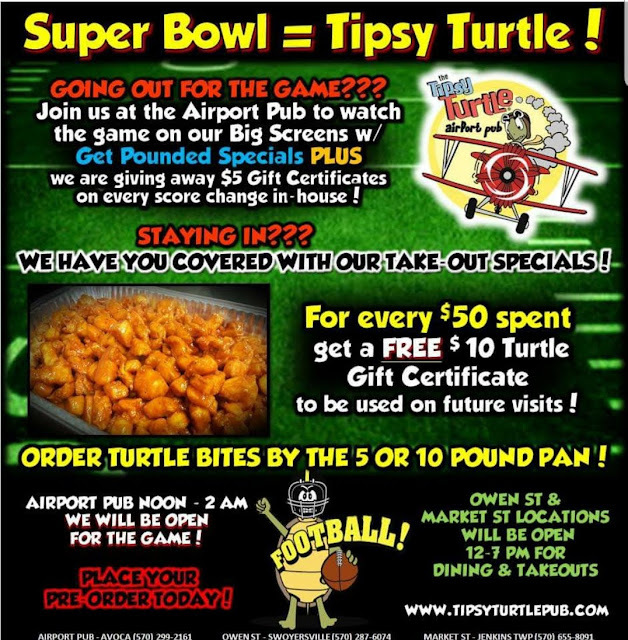 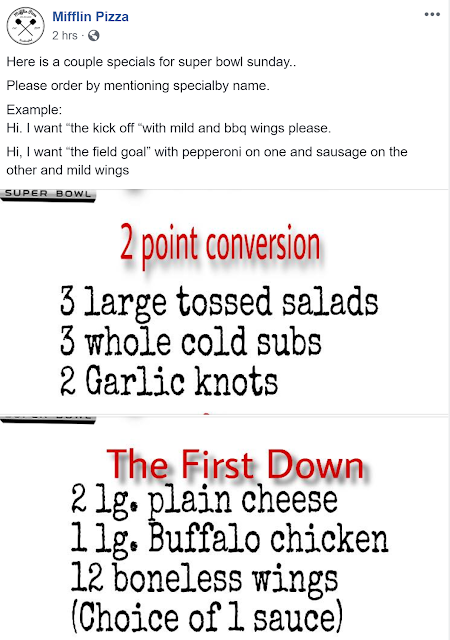 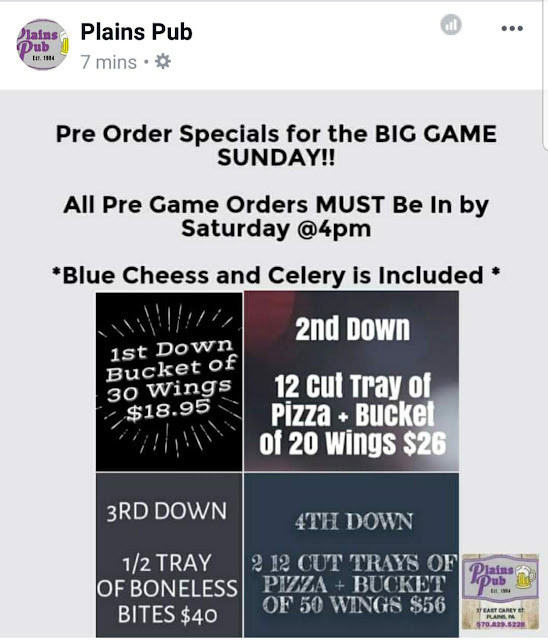 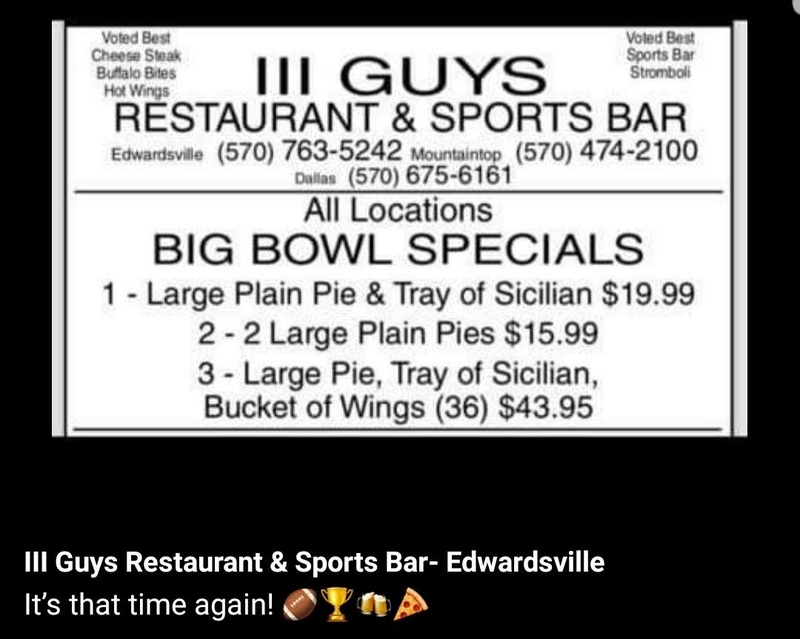 Don't forget to order WELL IN ADVANCE as the Big Game is one of the busiest days of the year for many restaurants. 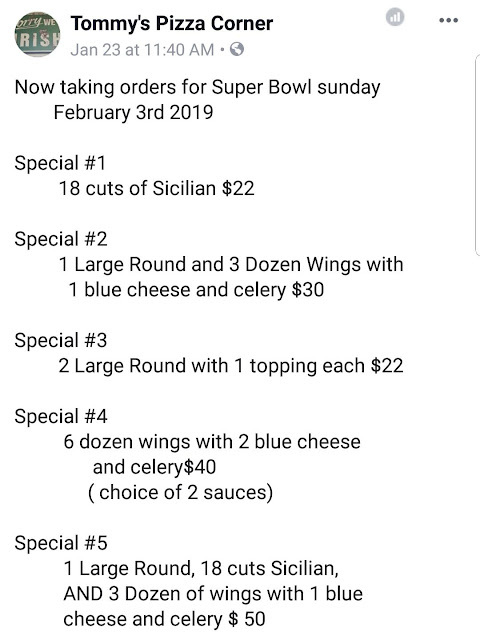 Note: the following specials are in no particular order. This list will be organized with restaurant names and towns as I finalize the list. 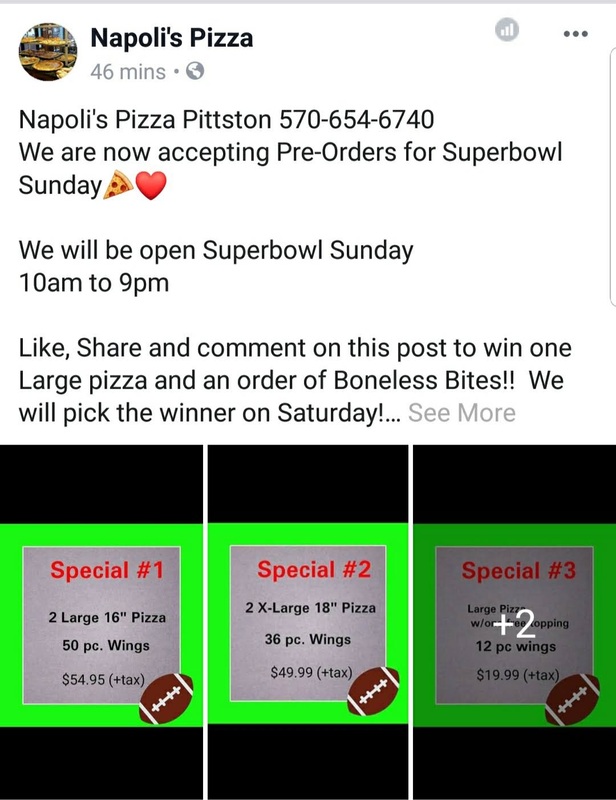 Links to each small business's website will also be provided! 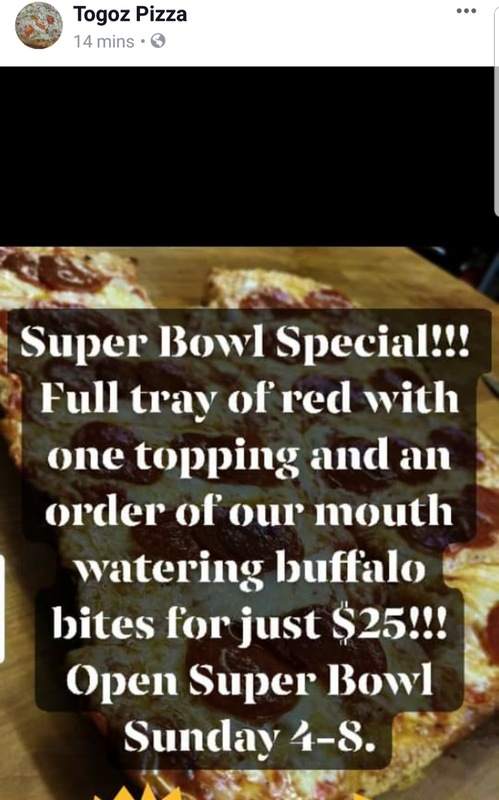 Bear with me!